ESPN Plans Full Day of Coverage Culminating with MLB Little League Classic on Sunday Night Baseball August 19 - ESPN Press Room U.S. This Sunday, August 19, the Philadelphia Phillies and Rhys Hoskins will “host” the New York Mets and 1998 Little League Baseball World Series Champion Todd Frazier in the second MLB Little League Classic presented by GEICO on Sunday Night Baseball presented by Taco Bell at 7 p.m. ET. ESPN will exclusively televise the special regular-season game that celebrates youth baseball and supports MLB’s PLAY BALL initiative, held at the renovated Historic Bowman Field in Williamsport, Pa. The field is across town from Little League International’s headquarters where the Little League Baseball World Series will also be underway. The Sunday Night Baseball team of Matt Vasgersian, analysts Alex Rodriguez and Jessica Mendoza and reporter Buster Olney will provide commentary. Vasgersian, Rodriguez and Olney will be part of this unique event for the first time, with Mendoza returning for her second Classic. Mendoza will also be part of the commentary team for the 1 p.m. Little League Baseball World Series game on ESPN. Mike Couzens will have the call on ESPN Radio with analyst Jim Bowden. Fernando Álvarez will have the call with Luis Alvarez and Guillermo Celis on ESPN Deportes. The game will also be available on ESPN Deportes Radio with José Francisco Rivera, Jorge Ebro and Orlando “El Duque” Hernández. 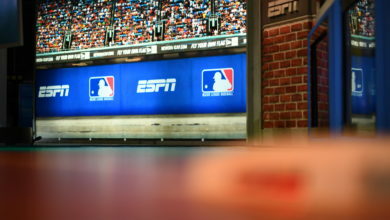 All ESPN MLB telecasts also stream via the ESPN App. Baseball Tonight: Sunday Night Countdown presented by Chevrolet will lead into the telecast with a special, two-hour edition from Bowman Field at 5 p.m. on ESPN. Adnan Virk will lead the first hour with analysts Mark Teixeira, David Ross and Tim Kurkjian. During the 9 a.m. and 11 a.m. Little League Baseball World Series Games, Kurkjian will report from the airport as the Mets and Phillies arrive and travel with them on the bus ride to the Little League International headquarters. Throughout the afternoon, players and coaches from both the Phillies and Mets will interact with Little League Baseball World Series players at various locations at the complex, including games at Lamade & Volunteer Stadiums, MLB’s PLAY BALL Park and The Grove. The trio of analysts will return for the second hour hosted by Karl Ravech, who will also be voicing two of the day’s earlier Little League Baseball World Series games on ESPN and ABC. A 60-minute SportsCenter at 3 p.m., hosted by Michael Eaves, will also add to the on-site presence surrounding this marquee event on ESPN. ESPN will recap the Little League World Series Virtual Home Run Derby tournament on Sunday from 4:30-5 p.m. on ESPN. The inaugural event includes one representative from each team in Williamsport. The event will also be streamed live in its entirety Wednesday at 11 a.m. on ESPN3. Interviews throughout Sunday’s coverage including Baseball commissioner Rob Manfred, players from both the Mets and Phillies and more. The Beach Boys will perform live from Little League’s famous hill overlooking Lamade Stadium following the 2 p.m. game on ABC (performance may finish on ESPNEWS, depending on when the game concludes). The day will also feature a look back at the 1998 Little League Baseball World Series Champion team from Toms River, NJ., which included current Mets third baseman Frazier. The Glory Days: Toms River Little League special will run from 4-4:30 p.m. on ESPN. In addition, there will be a full slate of four Little League Baseball World Series games which will be shown throughout the day on Sunday with the first game beginning at 9 a.m. on ESPN and the final telecast beginning at 2 p.m. on ABC. ESPN MLB contacts: Ben Cafardo at 860-766-3496 or [email protected]. Twitter: @Ben_ESPN; Michael Skarka at 860-766-1342 or [email protected]. Twitter: @Michael_ESPN.